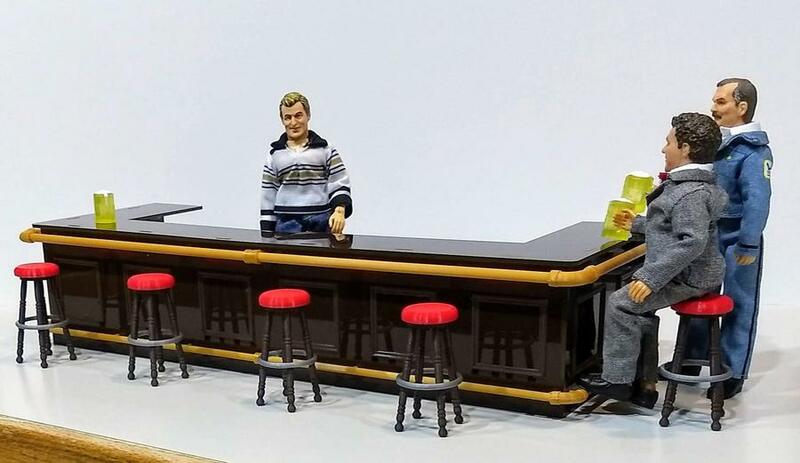 Corner bar for Mego figures. Stools sold separately (see below). Looks great with the new 2018 Cheer figures (not included).